Fig. 1: "The Project Team"
During the first day the project management team and the cluster managers outlined the overall structure and concept of the HOLISHIP idea and approach. 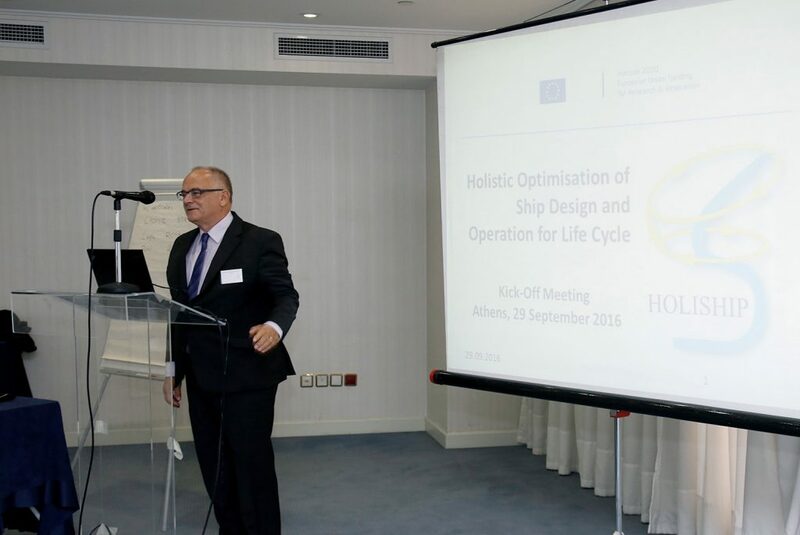 Following an introduction by Prof. A. Papanikolaou, the “spiritus rector” of HOLISHIP, design tools, integration platforms and the comprehensive range of application cases targeted in the project were illustrated in a series of presentations. Work commenced with detailed discussions in the individual technology fields addressed in development cluster 1 during the second day. The new project web site will keep interested parties updated in the future via the newsflash.